IseShima area is famous for its fresh seafoods and “Matsusaka Beef”, known for one of the most delicious beef. Come and enjoy many historical places and its beautiful nature. JCB offers a variety of promotions in Japan. Bring your JCB card along on your Japan trip. This brochure introduces the beauty of national parks, which Japan takes great pride in, and the charms of staying in a national park. Welcome to Kanazawa, a city of samurai culture. Get to know Kanazawa inside and out through the cultural experiences listed in our booklet! Simple & Safe! Travel through Japan with Toyota Rent a Car! Reservations are simple! Check for available cars, and complete online. Driving rules are also listed in this booklet, so you can prepare before your trip. Enjoy a free of worry, totally happy trip. Hida Takayama has developed the own culture that is a mixture of Edo culture and Kyoto culture, which are the totally different two major cultures of Japan. Extraordinary beauty and artistry at every turn. The Samurai lifestyle is best experienced firsthand. This tour invites you to hone all five senses, clear your mind, and experience Japan through the eyes of a warrior. There are a myriad of fun outdoor activities to discover at the Activity Center, located right in the heart of Iiyama City. You might get some coupons or special services in the store where you are planning to go! Use “Japan Shopping Coupon”Web site or APP, and enjoy shopping in Japan! WE ARE A ONE STOP SHOP THAT GIVES OUR CLIENT A HASSLE FREE AND FAST SOLUTION TO SEARCH VENUES IN JAPAN. Satoyama Experience offers snowshoes and culture tours during winter in Hida. We offer guided journeys into the heart of “rural life” to travelers visiting the Hida region in Gifu Prefecture. Must - Have APP for shopping in Japan. Make shopping in Japan even more fun ! Discover popular productsin Japan .update daily. When you scan the barcode, this app tells you what the product is. Discover "The Other Side of Kaga"
Kaga is well known for its hot spring towns. It also has many attractions and delicacies for you to discover and explore. They are "The other side of Kaga". Discover a number of places in Hamamatsu, from the Downtown Hamamatsu Area to the Lake Hamana and Hokuen Area that are rich in nature. 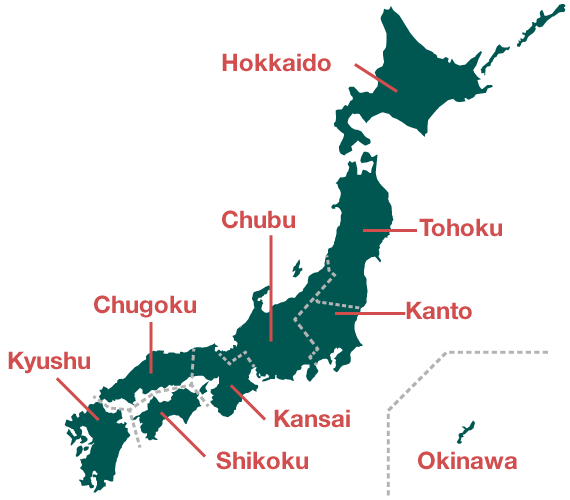 A complied list of useful information of Tokyu Hotels in Chubu and Kansai Region. Make the best use of Meitetsu Special Discount tickets to enjoy Nagano, Gifu and many other places in Chubu area! April 2018→March 2019 Individual Travel Plan. Information on ski and snowboard resorts in Niigata. Niigata, with its many snowcapped mountains, is home to numerous unique ski resorts, making it truly a winter sports paradise. This ticket gives you unlimited travel on highway buses connecting Nagoya, Takayama, Shirakawa-go, Kanazawa,and Toyama, plus access to Central Japan Int’l Airport, Komatsu Airport,and Toyama Airport. It is a batch retrieval site for comparison and reservation of rent-a-car of each company plan in Japan. You can easily book Japanese rent-a-car at special rates without membership registration. Mt. Fuji Pass, the only ticket you need to explore Mt Fuji. Enjoy Mt. Fuji area to the fullest with unlimited ride on local bus, train ticket, free attractions and numerous discounts and benefits. All in one, the Mt. Fuji Pass! CANDEO HOTELS operates business hotels across Japan that combine the high-level hospitality one expects of four-star accommodations with a reasonable price point. Japan Shopping Festival is held from Dec 1, 2018 through to Feb 28, 2019. Participating stores offer a variety of discounts and events. A promotion including free airline ticket to Japan will be held. Travel guide of Niigata Prefecture. Yamanouchi Town is a popular tourist destination in Japan. It offers some of the most famous snow resorts in Japan including Shiga Kogen and Kita-Shiga Kogen. The walking tour introduces fine architectural structures around the city. Learn about the wonders that await you in Gifu. Gero Onsen is one of the three greatest Onsens in Japan. Imagine taking a deep breath and having a relaxing time in rich nature. Gero Onsen takes you on such a beautiful Japanese journey! JR RAIL PASS TO ENJOY CENTRAL JAPAN!! Great deal JR rail pass to travel Shirakawago, Takayama, Alpine Route, Mt. Fuji, Ise, Kumano Kodo and more! Unlimited rides on JR lines and other useful transportation means! The sightseeing map of Snow Monkey Town, Yamanouchi. Fujita Kanko Inc., operates high-end resorts,leisure and banquet facilities.We have 70 facilities, including five-star flagship, Hotel Chinzanso Tokyo, and mid-priced WHG Hotels throughout Japan.